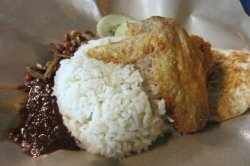 I've heard many chains of power nasi lemak riding on the boon lay's fame and glory, hence i decided to go down to the store myself to check out how delicious the food can be. 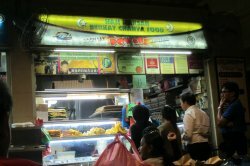 with a very greenish layout, one can tell that they're staunch muslims.. and not only that, the food that is on display is always filled and full, making sure they never run out. 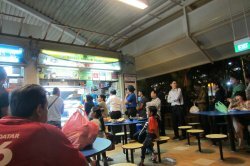 i spotted a long queue (all the way to the traffic light at the main road) and queued up anyway. there are set A, B and C.. the set a is the fish set costing only $2.50, whereas set B is the chicken set which costs $3. i can't remember what C was though. i bought a set B dinner, and it was as delicious as the name says. 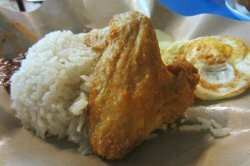 the chicken was crisp and golden-fried but the rice had very little fragrance of coconut, perhaps signifying a healthier choice.